“It is probable that a greater number of monuments of the skill and industry of man will in the course of ages be collected together in the bed of the oceans, than will exist at any one time on the surface of the Continents.” Charles Lyell, Principles of Geology (1832). The Undertow is the website and Blog of Dr Sean Kingsley, Director of Wreck Watch Int. A 24-hour a day update of what’s new from the bottom of the sea. The world’s oceans are the Earth’s last uncharted frontier. Water covers 71% of our planet, yet over an estimated 90% is unexplored. Before the rise of the airplane, the miracle of wood was not that it burnt but that it floated. Virtually anything and everything produced by the hand of man travelled by sea down the centuries. Around 3 million shipwrecks are estimated to have been lost at sea since the dawn of sail. Wreck Watch calculates that approximately 23% of these may have foundered beyond the sight of land – a staggering 600,000 wrecks may litter the ‘abyss’. The population of Earth stands at 6.3 billion. By the year 2050 it is expected to rise to 9 billion. The greatest museum in the world, idling on the bottom of the world’s seas, is still largely unknown, its wonders closed to us. 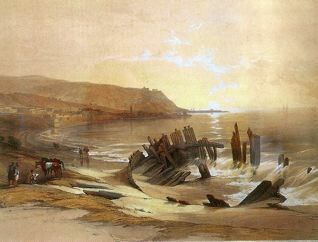 Some shipwrecks are safely cocooned by metres of sand and mud. 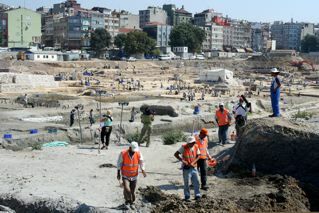 But a vast slice is being increasingly eroded away by natural forces and the pressures of development – deep-sea fishing, sand and gravel dredging, oil pipelines and cable laying. Not every shipwreck and sunken port can or should be saved. A small percentage, however, must be recorded and protected before it disappears forever – a reflection of the past for the understanding of the present and future.